Encouraging students to explore career goals, gain transferable and field-specific skills, and grow as professionals. SkillsApply and articulate transferable, career-related, or research-specific skills. GoalsExplain and analyze your career goals. IdentityDemonstrate an emerging professional identity. 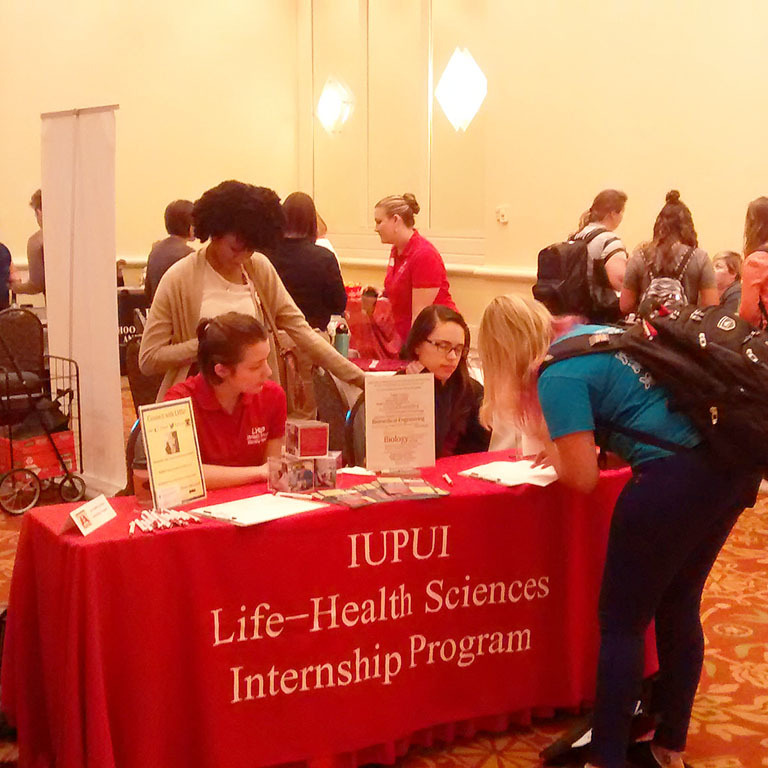 Participate in our paid, on-campus internships during your second or third year at IUPUI. 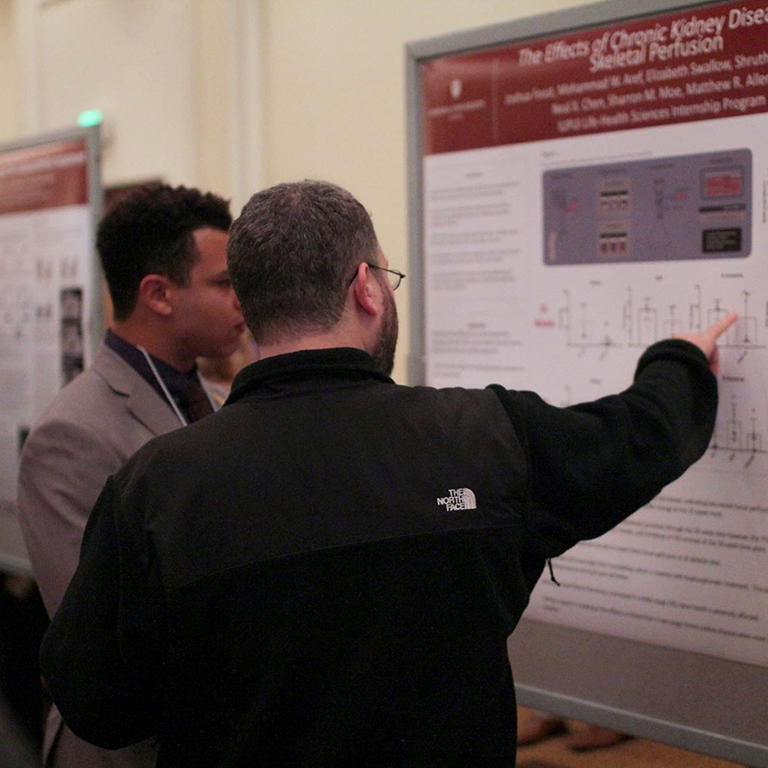 Many interns go on to participate in other campus programs or stay at the site through other funding. Our internship site teams provide an invaluable experience for interns. Over 180 professionals have worked with our interns in the past 12 years, and over 40% of our sites have hosted interns for three or more years. My internship provided me with the opportunity to work in a clinical setting and gain confidence working on my own with medical professionals.